Watermark X is one of the easier apps to use for watermarking. It has a number of templates to choose from so you can pop one on and get to sharing, but you can also do a lot of editing and customization to those watermarks to show your location data, as well as change opacity, color, and anything else you’d need to make the watermark not detract from the beauty of the content that it’s protecting. It’s free for a limited time, then you have to subscribe to continue to use the app. This app’s claim to fame is in its text recognition ability. While you get the same features as other watermark apps, including opacity control, color, placement, etc., My Watermarks has a feature for you to scan your own signature (really, handwritten text) to make an even more personal watermark for your photos and videos. Instead of having a handwriting script or a sterile and unfeeling sans serif font letting people know you own the content, just sign your name like the artist you are, and no one will think twice about it. Salt is an all-in-one mobile photo editor that specializes in cropping, resizing, and watermarking your content. With just a few swipes and clicks, you’ve protected your stuff from thieves. You can both create a text watermark with Salt, and you can also import a logo image of your own to overlay. Built-in sharing, logo overlay, text mark creation and opacity/color controls, high-res export, shadow effects, templates and profile settings, undo and redo, combine colors, scale and resize the photos and watermarks, and a super simple interface that just feels right? PhotoMarks is definitely a premium app, but with the price tag of just $4.99, it is affordable to nearly anyone who needs a watermark app. What Add Watermark brings to the watermark app market is simple: you can make the watermark you want to add to your photos in this app, then you can export that to use elsewhere. So if you get that perfect mark that really isn’t obtrusive or doesn’t detract from the art, you can use it wherever else you need to without worrying about having to recreate it perfectly for consistency. The rest of the app is great, too, offering many of the same features that are common among these apps: color and opacity control, resizing, cropping, etc. Watermark Photo has an absurd number of choices for you to use when watermarking your content. Over 300 different fonts to choose from are just the beginning. You crop and resize and make sure everything is pixel-perfect. But the customization is really where the devs have focused. They want you to use Watermark Photo to truly create something unique for your brand that is seen across social media and the internet. And rounding out the list is an app called Visual Watermark. This one, like Snagit, is not a mobile app but a desktop program. That’s great because of how powerful it is. When you download Visual Watermark, you will see a lot of options you have. 260 fonts, text and logo inclusion, and saving everything as a template so that you can be more efficient when you protect your videos for posting. Really, the batch watermarking is incredibly nice, and 60+ effects and a slew of export file types make this one you really need to give a shot. They also have a Photo Watermark program, too, if you need something as robust for your stills. Like we said, watermarking your content is necessary in a lot of places on the internet, if for no other reason than to protect it from thievery. However, there are great promotional benefits to doing so as well, not to mention that if you have a great watermark or signature, it can be included as part of your brand and expected as part of the whole package you present to people. Regardless of why you need a watermark app, we think that you’ll find the perfect one for you in the choices above. Whether it’s quick and easy and free, or crazy powerful and robust, you’re just a few clicks away from showing the world what’s yours in the most stylish way possible. What do you use to watermark your content? 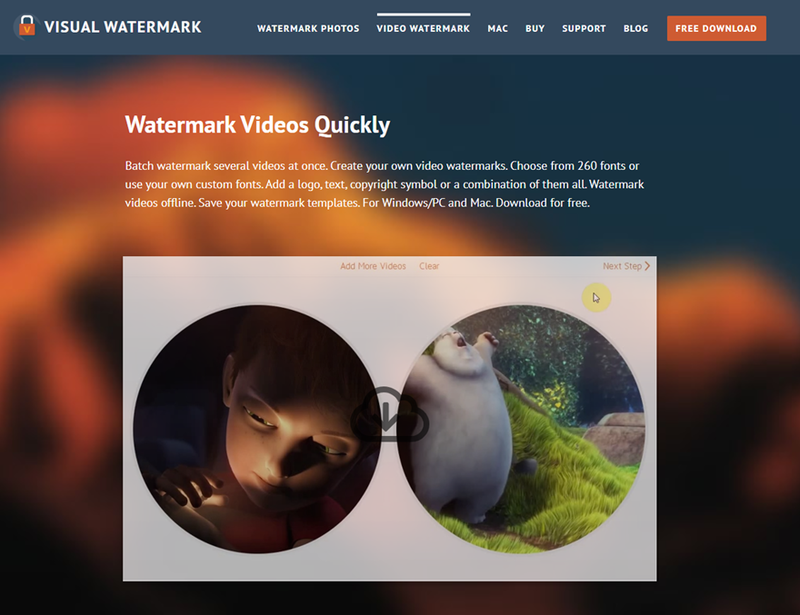 The post 8 Great Watermark Apps to Protect Your Photos and Videos appeared first on Elegant Themes Blog.